Product prices and availability are accurate as of 2019-03-06 04:40:39 EST and are subject to change. Any price and availability information displayed on http://www.amazon.com/ at the time of purchase will apply to the purchase of this product. 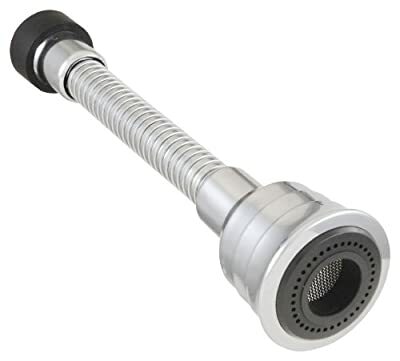 LDR 500 2184BK 360-Degree Swivel Aerator Hose for Kitchen Laundry and Bar Faucets, Chrome. The 360-degree swivel aerator with flexible hose. 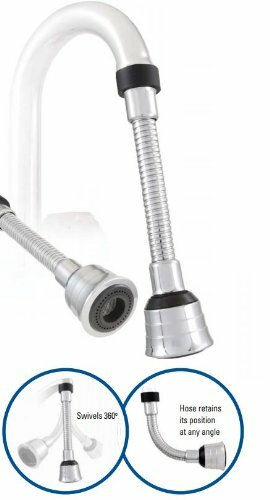 The hose works perfectly for most kitchen, laundry tub or bar faucets. The faucet mounts easily to standard fittings. Two-action system allows stream or wide-spray options with simple pull. The flexible hose allows more area coverage and remains in the position you set it in even when not in use (at any angle).